We often go to special workshops and tours organised for home educated children. Last week we got the opportunity to go to Marshfield Farm where the famous Marshfield Farm ice cream is made. 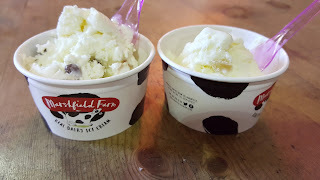 I had never been to this farm before, or heard much about it, but as soon as I knew they made ice cream I was in! The drive down to the farm did not take us too long and it made me feel lucky to have this amazing farm on our doorstep. 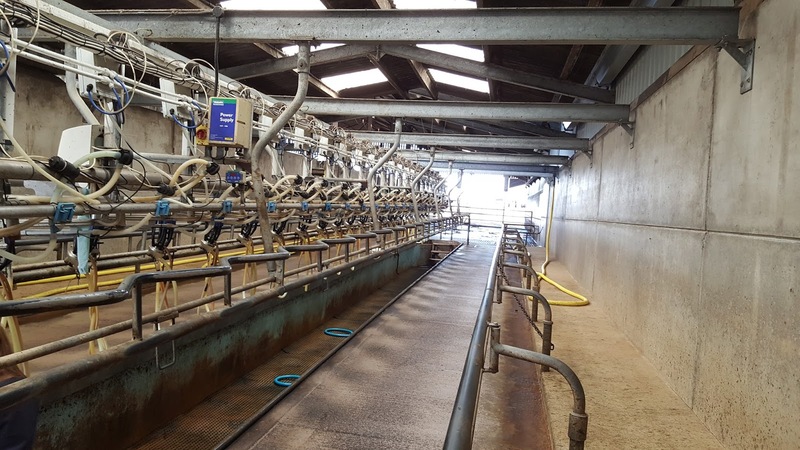 The farm sits in around 1000 acres of land and is home to a few hundred cows. 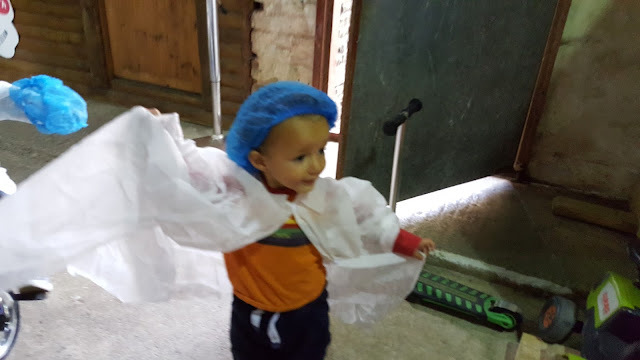 When we arrived we were told to put on white coats and blue hair nets ready for our tour around the factory. Unfortunately, I could not take any photos inside the factory but it was fascinating and we learnt a lot about ice cream production. We learnt that the ice cream produced here is 100% organic and uses milk from the cows on the farm. K was not at all keen to wear his lab coat and kept trying to take it off! 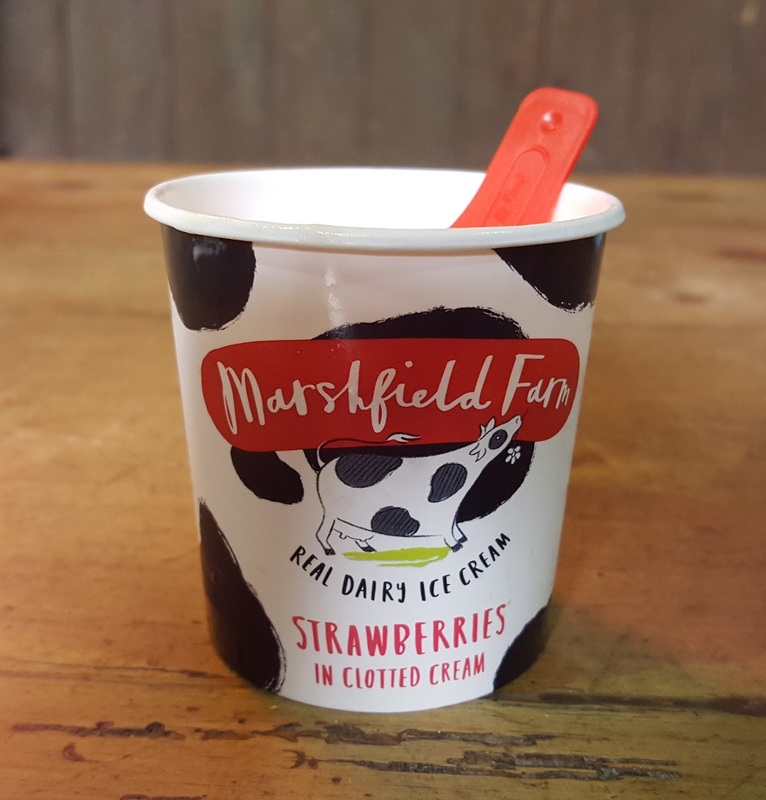 After out tour of the factory, we got given a tub of ice cream fresh off the factory production line to try. It was not completely frozen yet and was lovely and soft and creamy. We enjoyed the ice cream a lot. Next, we had a tour of the farm. 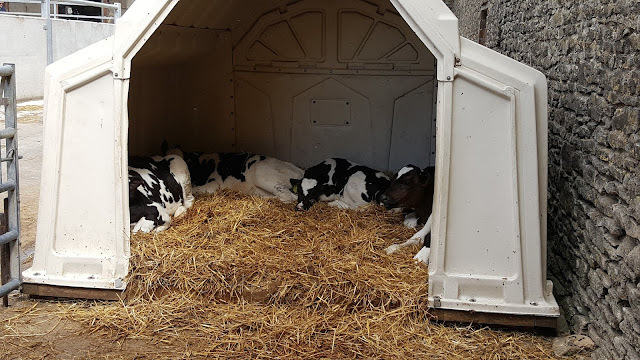 We went outside and saw some calves relaxing under their shelter. 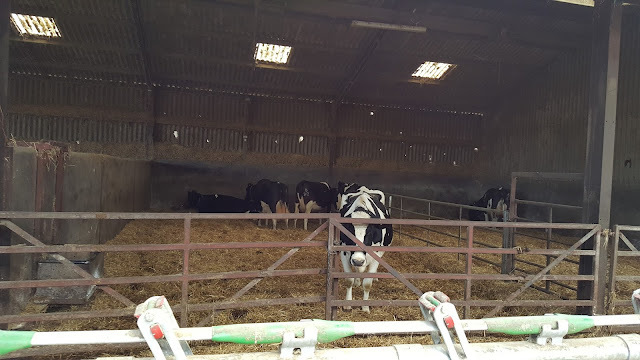 Then we saw some pregnant cows in the barn. 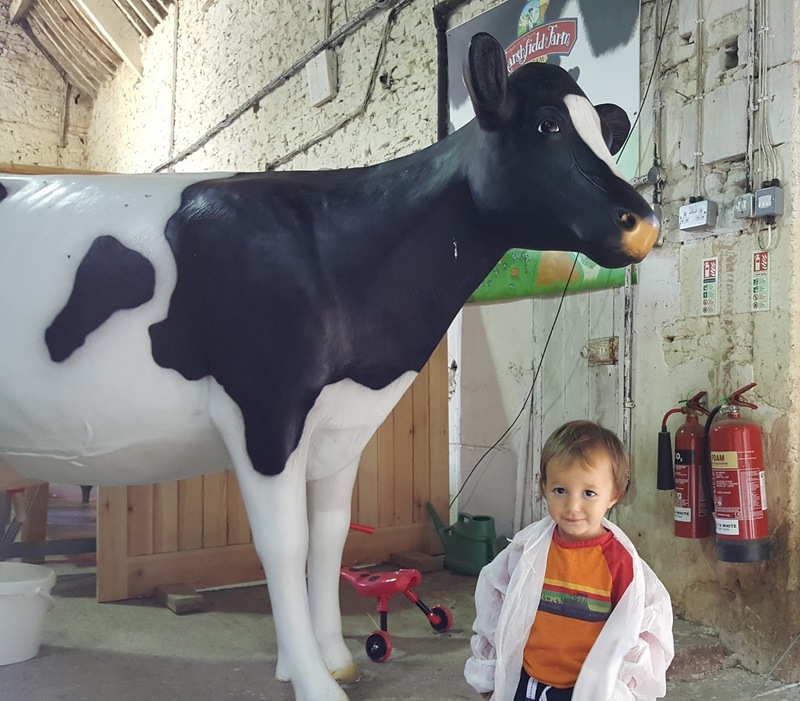 We went to see the barn where the cows were milked and learnt about the milking process. 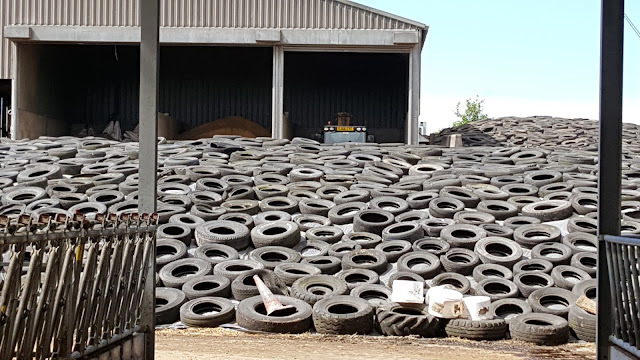 We were told about how they make their own silage for the cows to eat. 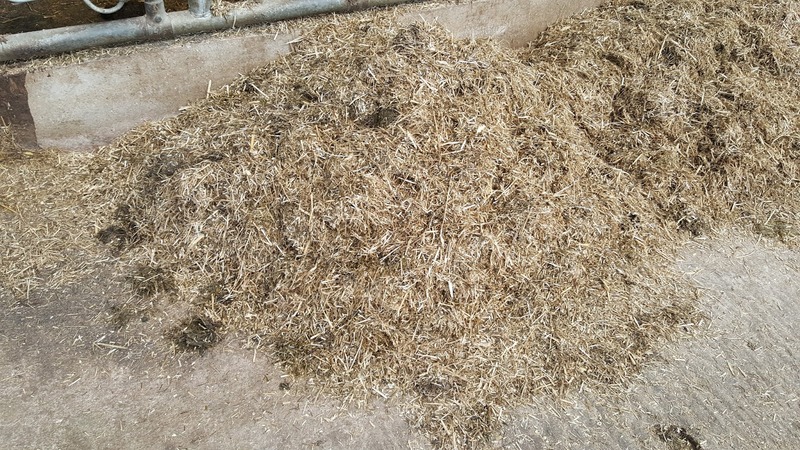 Silage is made from grass which has been cut and stored without first being dried. 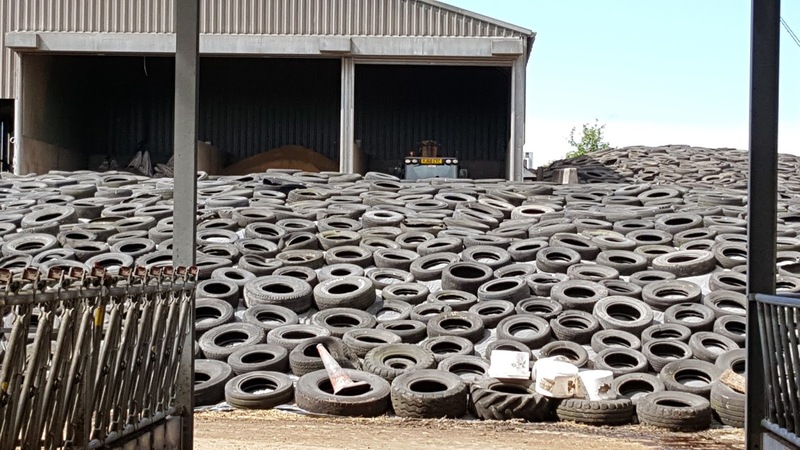 The grass is stored under sheets covered with tyres. This keeps the grass airtight whilst it turns into silage. After our tour of the farm, it was time to head back into the barn for more ice cream! We got to take our pick from the 30 different flavours produced on the farm. 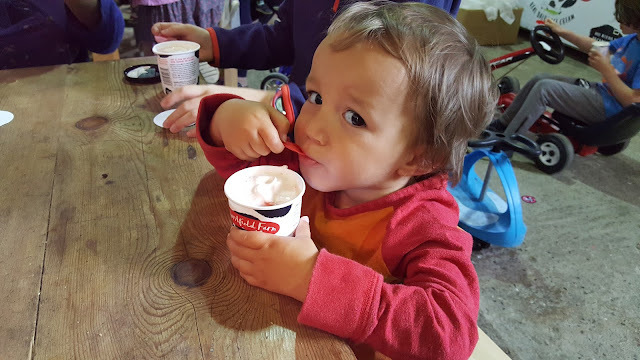 There were so many wonderful flavours, from honey and ginger to clotted cream and gingerbread to candyfloss, it was hard to choose! 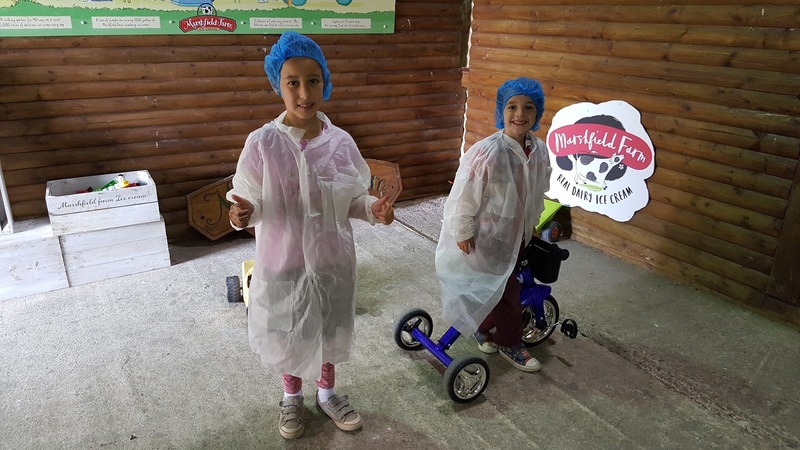 We had a fantastic time on the farm and learnt so much about cow farming, milking and ice cream production. 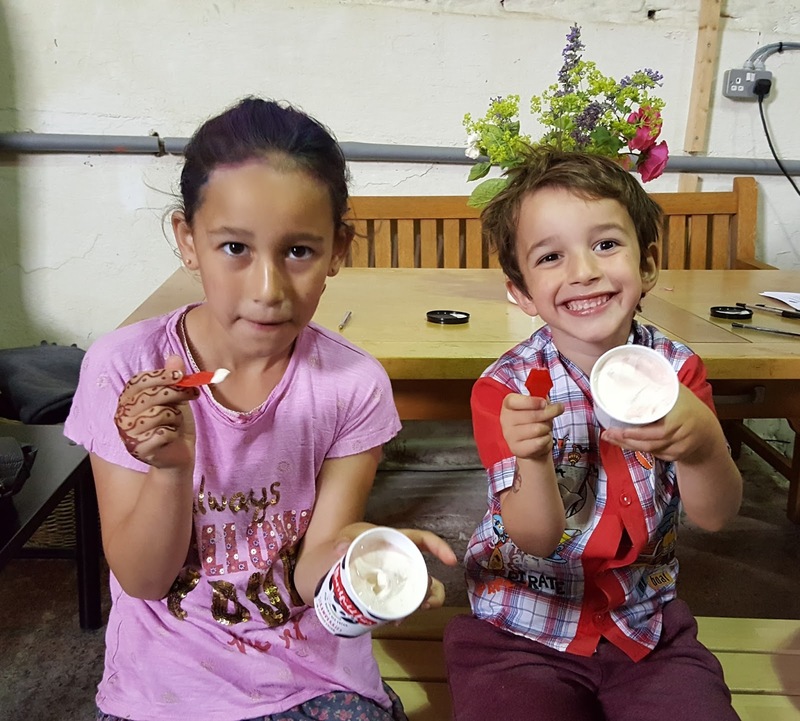 I can't wait to visit the farm cafe again for more ice cream soon!